Every journalist loves a sensational story: they sell newspapers. But sensational stories need drama, and drama needs conflict. Hence, ever since the election of Pope Francis the media, and even certain factions within the Church who have their own agenda, have tried to fabricate some sort of conflict between Pope Francis and his predecessor Benedict XVI. If not stated outright, it is at least implied that Pope Francis is somehow rolling back the Benedictine era and distancing himself from his predecessor. 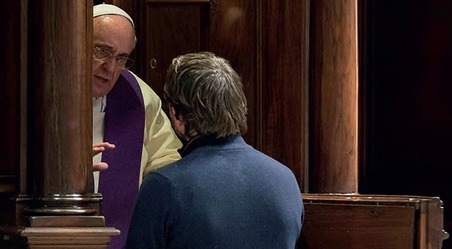 The most substantial piece of evidence presented for this case would seem to be Pope Francis’s setting up of a consultative body of eight cardinals to oversee the revision of Pastor Bonus, that is, the Apostolic Constitution on the Roman Curia. It is true that this is a new initiative of Pope Francis, but in prioritising the issue of reform of the Curia he is surely only putting into effect the manifest desires of Benedict XVI. The other evidence cited is altogether more trivial. Pope Francis is more likely to speak “off the cuff” rather than sticking to written texts. Pope Francis’s style of preaching is less cerebral and more directthan his predecessor’s. Pope Francis has chosen not to live in the papal apartments. Pope Francis wears vestments that are different from those worn by Benedict XVI. Pope Francis’s shoes are a different colour from his predecessor’s. When catalogued coldly in this fashion one begins to notice the sheer superficiality of the evidence adduced. This very distinctive reading of the parable can be found in Ratzinger’s writings going back as much as 30 years. Other commentators will argue that some of the encyclical’s themes sound very much like issues that Pope Francis has already touched upon in speeches and homilies early in his pontificate. But, however interesting one might find a game of ascribing certain passages to one pontiff rather than the other, this is not really the issue. That Pope Francis has sanctioned a document that he freely admits was “almost completed” by Benedict XVI is a significant blow to the narrative of rupture between the two pontificates. Pope Francis’s decision can only be read as emphasising the continuity between himself and his predecessor. Nonetheless, we would want to add a subtle but important qualification. It would be a mistake to imagine that Pope Francis were somehow endorsing the policies of his predecessor as perhaps the incoming leader of a political party might wish to be seen as the anointed successor to this or that great political figure. When Pope Francis read the “almost completed” draft of Lumen Fidei one does not imagine that he thought to himself: “Yes I want to endorse Ratzinger’s position on X, Y and Z.” Rather, he thought: “The Successor of Peter, yesterday, today and tomorrow, is always called to strengthen his brothers and sisters in the priceless treasure of that faith which God has given as a light for humanity’s path” (LF 7) (italics added). The successor of Peter strengthens the faith of his brothers and sisters by consistently giving voice to the Catholic faith. Pope Francis saw the mind of the Church expressed in the text of Lumen Fidei. He recognised that it was authentically Catholic and therefore, as the Successor of Peter, he gave his name and the weight of his authority to this document because it teaches the Catholic faith. And that’s what the Pope does: he teaches the Catholic faith. For all that there may be differences of style, personality and nuance, there is a continuity between Benedict XVI and Pope Francis. But it is shallow and worldly to see this continuity as the fruit of a meeting of minds between Jose Bergoglio and Joseph Ratzinger, men with different temperaments, from different cultures, different continents and perhaps different priorities. The continuity between their pontificates is the continuity of the Catholic faith. We think that this insight provides a key to a fruitful understanding of Lumen Fidei. This encyclical should be read primarily neither as Benedict XVI’s swansong, nor as Pope Francis’s manifesto, nor even as some sort of show of unity between the two. Primarily this document is a magnificently Catholic expression of our magnificent Catholic Faith. The encyclical runs to almost 20,000 words. So, manifestly, a short editorial cannot hope to provide an exhaustive exposition of its entire content. We would like simply to home in on certain passages that underline its profound ecclesial Catholicity. Chapter One of Lumen Fidei begins: “Faith opens the way before us and accompanies our steps through time. Hence, if we want to understand what faith is, we need to follow the route it has taken, the path trodden by believers, as witnessed first in the Old Testament” (LF 8). Its analysis of faith begins not with an abstract speculation on the conditions of possibility for the act of faith, but rather with Abraham, “our father in faith”. This is a conscious methodological decision. There are two assumptions behind this starting point. First, faith is God’s initiative. Therefore we must find an instance of God taking this initiative and look at what happened. Second, faith is a reality that exists within time and space. It would be absurd for a zoologist to start reasoning a priori about theproperties of certain animals; a zoologist must go and observe the animals he is studying. So too we must go to the reality of faith in its givenness and see what it is. Having read the encyclical this starting point might seem obvious, but actually for those of us who live in the UK it takes on a particular value. Our culture is intensely hostile to Catholicism. It is routinely ridiculed in the media. And of course the past 40 years have seen real turmoil in the Church. The sheer confidence simply to assert our identity is heartening. We are here. We have our own patrimony and traditions and we need neither to explain nor to apologise for this. We have a right to be here. Whether or not this is the encyclical’s intended message, it is, nonetheless, implicitly an encouraging affirmation of our Catholic identity. And we should take this encouragement to heart. The Church has a valuable contribution to make in the UK. Our parishes, our schools and our charitable institutions propose, sometimes in a modest but nonetheless real manner, a valid alternative to the values of our society. They offer a vision of faith, of healing and of wholeness that our society needs. We must not be cowed by the aggression or the strident voices of those pushing a secularist agenda. A final element of the story of Abraham is important for understanding his faith. God’s word, while bringing newness and surprise, is not at all alien to Abraham’s experience. In the voice which speaks to him, the patriarch recognises a profound call which was always present at the core of his being. And the encyclical states that the God who calls Abraham “is the origin and mainstay of all that is” (LF 11). Since Abraham and “all that is” have their origin in the same God, the Pope seems to imply that Abraham’s experience of a call is the common experience of humanity. Again this is important. Man experiences this “profound call” as “always present at the core of his being”. This means that faith is essential to us as human beings. 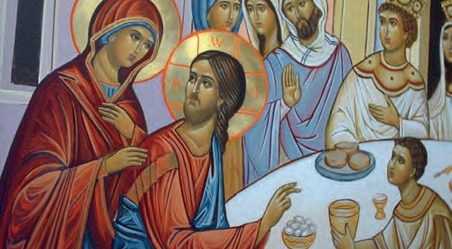 In the Faith movement we often quote the patristic dictum that expresses the same idea: “Birds fly, fish swim and man prays.” The inalienable reality of man’s spiritual nature means that Catholicism is not an esoteric, minority interest; it proposes a way of responding to this call that we all experience at the core of our being. Again this is a hearteningaffirmation of the value of faith – and one which the besieged Church in these isles needs to hear. Not only do we believe in Christ but we participate in him: we are united to Christ. And in being united to Christ we are united to the community that Christ gathers around himself. “And just as Christ gathers to himself all those who believe and makes them his body, so the Christian comes to see himself as a member of this body, in an essential relationship with all other believers” (LF 22). Faith entails being part of Christ’s body – being part of the Church. And so the encyclical draws the conclusion that “faith is necessarily ecclesial” (LF 22). This is what we mean when we talk of the encyclical’s profound ecclesial Catholicity. Lumen Fidei vindicates not just what we might call the “Jesus message” but also the living reality of the Church. Our society needs not just the proposal ofthe Catholic faith. It needs the Church. The Church is not an afterthought. That same faith which answers the deepest yearnings of the human heart leads us necessarily to the Church. In chapter three of Lumen Fidei, which deals with the transmission of the faith, the theme of the Church emerges again. The Church is called “the mother of our faith”. Amidst all the turmoil in the Church, which might tempt one to become cynical towards the institution, this is a beautiful and timely reminder for us that the Church is so much more than just an institution. She keeps the memory of Jesus alive because she is alive. She is a “remembering subject”. For all the flaws of the Church’s human members Lumen Fidei makes absolutely clear that we believers, and in fact the whole of humanity, need the Church because through her “we come to see the face of Jesus”. Without the Church we do not have access to Christ. We see again this encyclical’s profound ecclesial Catholicity. In the end Pope Francis simply teaches us we must love the Church because “the Church is a Mother who teaches us to speak the language of faith” (LF 38).